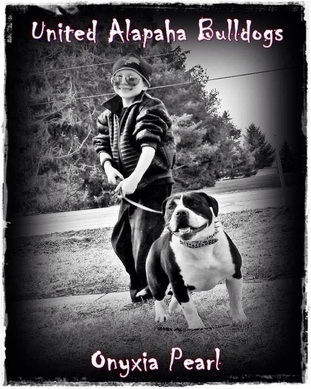 We are a family owned kennel with our first Alapaha purchase in 2009. Alapahas are known for being very protective, loyal and great with children. 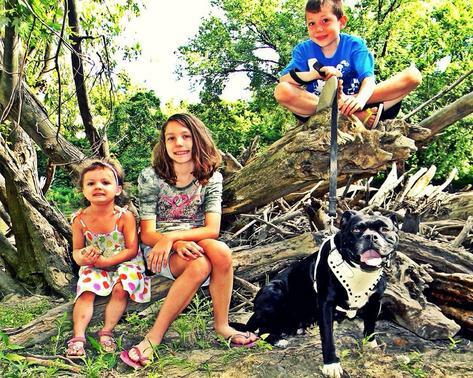 All of my dogs are family oriented and great with my children. The ABBB is trainable, dutiful and responsible, with impressive capabilities as a guardian of family and property. They are great working dogs, very loving and protecting in the home, and are known to have a strong protective instincts. The Alapaha needs to be socialized early on and trained using positive reinforcement, rather than force-based techniques that can encourage aggression. We love our animals and hope you will take a look around. UPDATE* CHECK OUT OUR UPCOMING BREEDINGS WE HAVE PLANNED! UAB’S Wicked Wicca Pearl tested at 12 and 24 months. ***Son to UAB’S Bella Jade, at time of testing they were the first generational OFA/HIPS GOOD or better of the breed. UAB was also the first Kennel of the breed to produce multi-Generational OFA GOOD or better Hips. * Hydra Jade and Darth Vader are littermates. At the time of test results, they were the first littermates of the breed to be tested and receive results of OFA Hips GOOD. * This makes the first time a Kennel produced a 3rd generation ABBB that received a rating of OFA Hips GOOD or better. 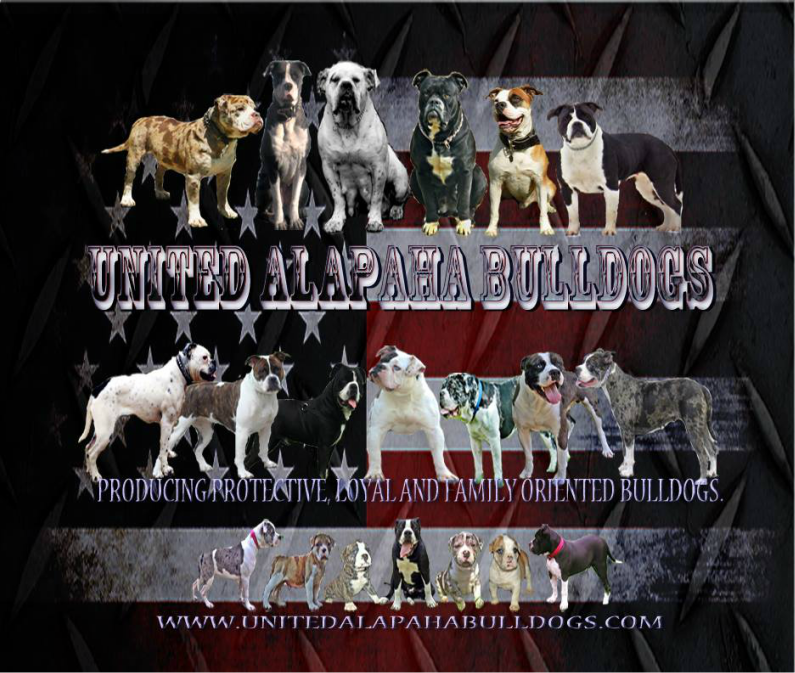  At this time 12/31/2017, no other Kennel has nor produced 6 Alapahas that has received the rating of OFA Hips GOOD or better within their Kennel for the future of their program. We will continue to strive to breed better than what we have. Trying to lock in a genotype is one of the hardest to do when breeding. It can only be done by health testing your stock and pairing bulldogs accordingly. 1 All Breed Best in Show Reserve Puppy Champion. 1 Runner-up Alapaha Specialty best in show with over 50 Alapahas. ​Every show was with a minimum of 15 Alapahas present and with actual sanctioned judges. UAB is also the first kennel to produce back to back generational OFA GOOD or better Alapahas. ​Our Alapahas are ABR registered.